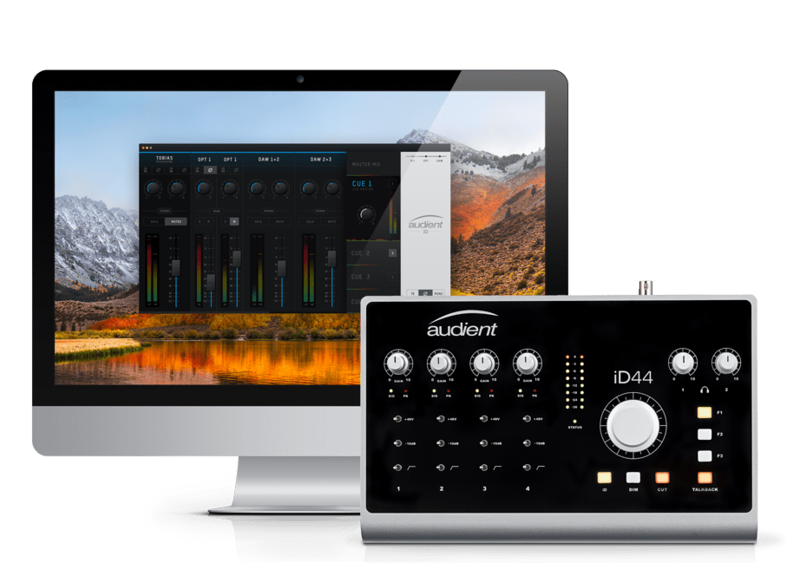 UK based audio manufacturer Audient are now shipping their NEW iD44 Audio Interface with over £500 of free software when registering using their ARC Software Hub. 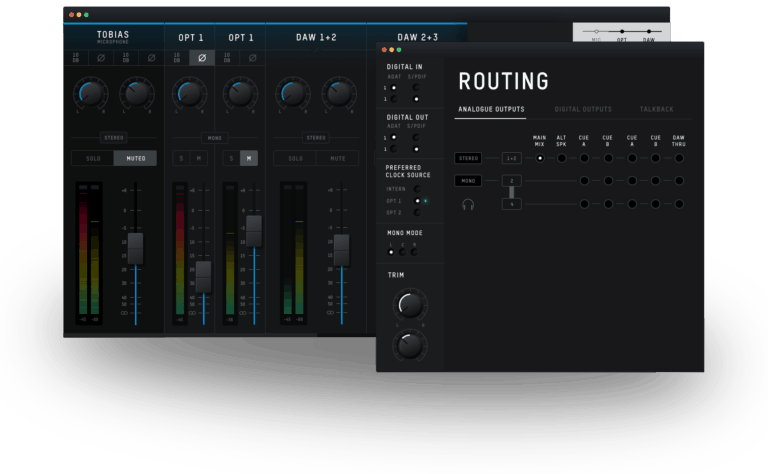 This new desktop interface features 4 Class-A Audient mic preamps, the same as in their console range, and with 20-in 24-out there are many configurations possible with this flexible AD/DA desktop converter. 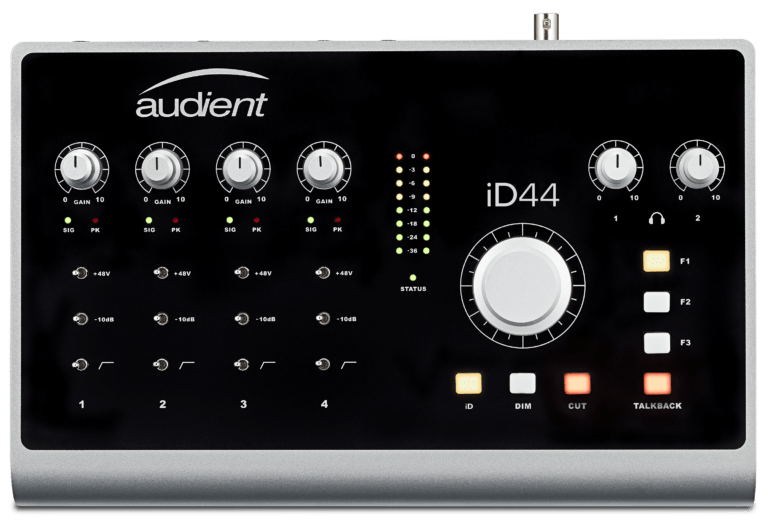 The iD44 has two JFET DI inputs which behave the way an input stage of a tube amp may react, allowing Bass, Guitar or Synth direct connectivity to help speed up your recording workflow. There are balanced insert points for mix down or while tracking through your favourite outboard kit, and two stereo headphone outputs allowing for different cue mixes independently through their own DAC. The iD Mixer has been created with smooth workflow and ease of use the primary functions. You can customise the channels, create up to 4 cue mixes, assign function button control and save any of your layouts and setups. The new talkback functionality allows any audio source to be used so you could assign and use your built-in Laptop mic to avoid using one of the Audient mic-preamps. This is an elegant solution. When you purchase an Audient iD44 and register you gain access to the Audient ARC Software Hub which provides over £500 worth of software free.